Jack O'Meara earned U.S. Silver Badge #1 in 1933. It was the twelfth Silver Badge earned in the entire world. In 1937 there were only 298 Silver Badge pilots worldwide and ten of them were Americans - eight of those members of the Soaring Hall of Fame (O' Meara, Richard du Pont, Barringer, Stan Smith, Lehecka, Decker, Ross and Schultz). In 1929, O'Meara was the first to soar at Elmira. Due to his pioneering efforts and exploratory flights, the First National Soaring Contest was held at Elmira the following year 1930. Thus Elmira became the Soaring Capital of America. 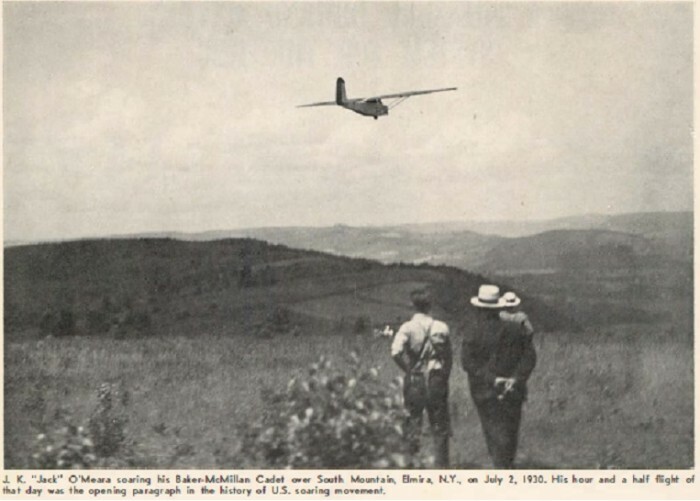 At the 1932 contest in Elmira, O'Meara established an American distance record of 66 miles soaring from Elmira to Wyalusing, PA. On the same flight he set the national altitude record of 4,960 feet. His sailplane was the Darmstadt "Chanute" which he had built himself. In addition to those records, he won the contest becoming the second National Champion. 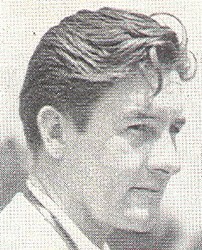 Al Hastings won the previous two. Jack came in fifth in the 1938 Nationals (Peter Riedel had the most points but Emil Lehecka was U.S. National Champion). During the contest he made an 88 mile flight to Sudbury, PA with best altitude of 5,390 feet. He was flying a Bowlus Baby Albatross. He also flew a 35 miles goal flight to Towanda, PA. The National Air Pageant took place at Roosevelt Field in New York in 1938. 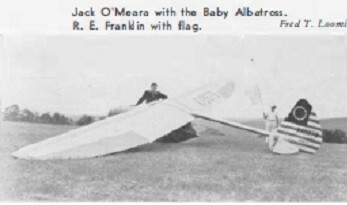 Prior to the main show, Jack O'Meara, age 26 at the time, set a new world's record with 46 loops in a glider over Roosevelt Field. He had towed to 12,000 feet with take-off at 12:15 PM and landing at 1:30 PM. The last six loops were between 500 and 1,000 feet above the ground. Three National Aeronautic Association officials certified the flight. The record he beat was 26 loops by Russell Holderman of Leroy, NY. According to O'Meara, the temperature was ten below zero at 12,00 feet. His glider weighed 200 pounds with a 38-foot wing span and 21-foot length. O'Meara was one of three pilots who participated in the Lustig Sky Train experiment. The concept being studied was mail delivery and each glider carried 75 lbs. of mail. Three Franklin PS-2 gliders were towed in tandem, departing New York City and releasing one glider over each city - Philadelphia, Baltimore and Washington, DC. O'Meara was the pilot who landed in Washington - on the ellipse in front of the White House. While the concept was considered a success, the idea was not pursued further at the time. In November 1941, Jack O'Meara crashed and was killed while test diving a Harlow airplane.